A woman said this to me about her church several months ago. My first thought was, “A lady hangs on the arm of her pastor, and she’s not married to him? !” But, as the conversation continued, it became clear that that wasn’t what she meant. She meant that this other woman – who was not married to the pastor – was doing secretarial work, church decorating and event planning. I was thinking, “But those aren’t wifely duties!” Obviously, our ideas of the role of the pastor’s wife were very different! I am one of those odd creations by God called the “pastor’s wife”. Over sixteen years ago, I fell in love with a funny, hard working, brutally honest and ruggedly handsome man. I wanted to be with him all the time. I wanted to cook for him, though I had little culinary ability. I wanted to keep house for him. I wanted to raise his children. I wanted to kiss him goodbye and goodnight. I hadn’t given much thought to his profession. I had planned to love whatever he loved and be thankful for his provision. God had called him to preach, and that sounded wonderful to me. We entered the ministry the day we got back from our honeymoon. It was a just a part time position, but he was thrilled to have it. With just the two of us at that time, we could do everything together, so we did. When children arrived, I stayed home and cared for them, while he worked a job and served in ministry. Whenever possible, I served with him. We had three children when God gave him his first pastorate. I wanted to homeschool them, and my husband encouraged me in this venture. 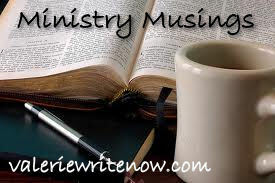 At some point, and I’m not sure when it was exactly, I began to see that everyone had a preconceived idea of what the pastor’s wife should be. Opinions ranged from church pianist to janitor and everything in between! Folks also had ideas of what her personality should be like: she should be quiet, but talkative; reserved, but outgoing; in charge, but behind the scenes…I think the contradictions are clear and a bit ridiculous! So, while everyone has an idea of what a pastor’s wife should be, I’ve learned this: “Thou cannot pleaseth everyone.” Based on this truth, I began to focus on pleasing God and my husband. That goal keeps me pretty busy! (And yes, I fail often!) Don’t get me wrong, I do care about others. I want to show everyone Christ’s love. But, well, I just can’t be what everyone wants me to be. I’ve searched the scriptures for where it says I’m supposed to be the church secretary, and I haven’t found any. I’ve looked for the passage that tells me to take piano lessons, but it’s not there. I’ve hunted for where in the Holy Bible it says I should plan ladies (or any) events and well, it’s a big zero. Likewise, I haven’t found anything in God’s Word against a wife doing the above. I don’t see “requirements” either way. If you are the pastor’s wife in your church, and you play the piano, that’s wonderful! I squandered my youth and didn’t learn. If you throw great parties, then please invite me! I admire you. I can barely stay on top of my laundry. Wait, scratch that. I don’t stay on top of my laundry! I do spend time with my husband though. I do cuddle my kids and make them lunch. I teach them to read and write and to tie their shoes. I help them do important things, like memorize the lyrics to all of the songs in The Sound of Music. I study my Bible and pray. I attend church faithfully. I attend outreach opportunities. I participate in the music program of our church and teach Sunday School. My husband is happy with me, so that makes me happy. I realize none of these activities label me as “the pastor’s wife”, because any lady can do them. And any lady should do them, if she can. That was humorous and well-written. It is very true and will likely be an encouragement to every pastor’s wife who reads it. Thanks, Mom! I hope so. I’ve been a part of 4 churches, and you’re so right…each of the pastor’s wives were different and I’ve learned something from each of them 🙂 Loved this post!